Norman Dennis Rigley was the husband of Amy Rigley (nee Somerville), Coagh, Co. Tyrone, and the son of George William and Elizabeth Alice Rigley of 53 Stainburn Avenue, West Derby, Liverpool. 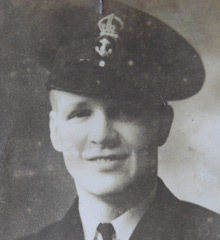 Norman Dennis Rigley served as an Assistant Steward on board the Armed Merchant Cruiser, HMS Palomares. During the British-American invasion of French North Africa, HMS Palomares acted as an Anti-Aircraft artillery vessel. On 9th November the ship was badly damaged by enemy action. Norman Dennis (Den) Rigley was killed in this engagement. Norman Dennis Rigley was the husband of Amy Rigley (nee Somerville), Coagh, Co. Tyrone, and the son of George William and Elizabeth Alice Rigley of 53 Stainburn Avenue, West Derby, Liverpool. Norman Dennis Rigley served as an Assistant Steward on board the Armed Merchant Cruiser, HMS Palomares. At the outbreak of the Second World War, the Royal Navy wasn’t able to man all the auxiliary vessels which served with it and to deal with the shortfall in manpower, a number of officers and men of the Merchant Navy agreed to serve with the Royal Navy under the terms of a T.124 agreement. Under this agreement Merchant Navy personnel were subject to Royal Naval discipline while generally retaining their Merchant Navy rates of pay and other conditions. The manning port established to administer these men (including Norman Dennis Rigley) was at Liverpool. When HMS Palomares docked in Belfast ‘Den’ Rigley and his friend, Jim Sheen met up with Amy Somerville and Evelyn Thompson. The two girls worked in the cafeteria of FW Woolworths, High St, Belfast. Romance blossomed between ‘Den’ & Amy and a few months later ‘Den’ proposed on board a tram in Belfast City Centre. Amy later joined ‘Den’ in Liverpool where they married on 13th March 1942. Jim Sheen was the Best Man, and Evelyn Thompson was Bridesmaid. While in service on HMS Palomares, ‘Den’ Rigley and his friend Jim Sheen saw significant action with the Russian Convoys to Archangel and Murmansk including the disastrous convoy PQ17 where 25 vessels out of 36 were lost to enemy action. 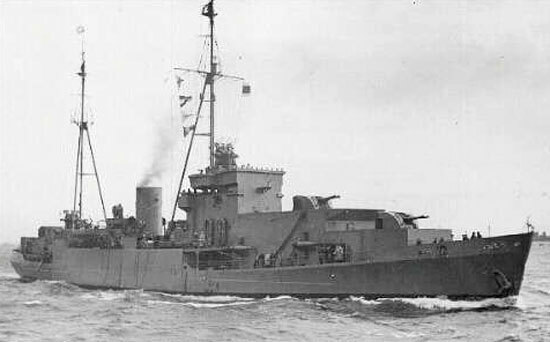 During ‘Operation Torch’, the British-American invasion of French North Africa, HMS Palomares acted as an Anti-Aircraft artillery vessel. The landings commenced on 8th November 1942. On 9th November the ship was badly damaged by enemy action. Assistant Steward, Norman Dennis (Den) Rigley was killed in this engagement. Jim and ‘Den’ made a promise to each other that in the event of either’s death the other would visit the ‘widow’. His friend Jim Sheen kept the promise. Mrs. Amy Rigley gave birth to their daughter, Norma Denise a few months later. 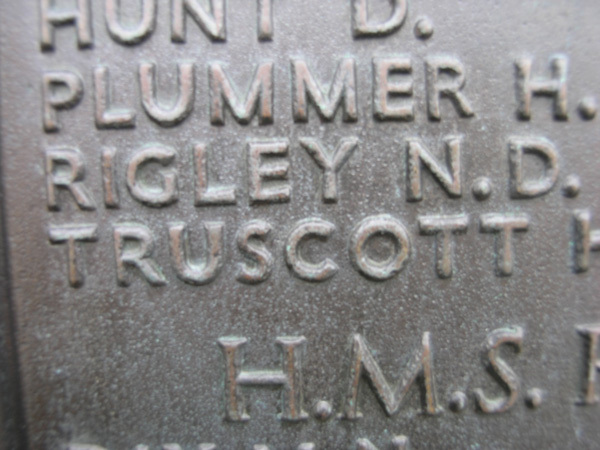 Norman Dennis Rigley is commemorated on Liverpool Naval Memorial. The memorial commemorates 1,400 officers and men of the Merchant Navy who died on active service aboard more than 120 ships with the Royal Navy. The majority of Merchant Navy personnel who died at sea and did not serve with the Royal Navy are commemorated at Tower Hill Memorial in London.